For most students, the alphabet is the basic learning block. For blind students, Braille unlocks the doors to their education. Almost half of the world’s blind live in India – where families living in poverty are unable to afford Braille Kits for their children. When you give a Braille Kit through the Blind People’s Association of India, you not only provide the instruments that teach someone to read and write Braille, you also give a Braille geometry box and an abacus! Donate $20 – in about 2 weeks, we’ll send you the photo and story of the blind student you help. Almost half of the world’s blind live in India. For those living in poverty, the degenerative effect of cataracts transitions them from family contributors to family dependents, increasing the cycle of poverty. And yet 60% of blindness in India is due to operable cataracts. Simple surgeries – out of reach for those living in poverty – can change the statistics for one person. Your gift of $30 will erase someone’s cataracts. You’ll give them their sight back, giving them access to jobs again, and the sight of their loved ones! Find out just what your gift will do. Give $30 today. In about 2 weeks, you’ll receive the photo and story of the person you helped. The World Bank estimates that 20% of the world’s poorest people have some kind of disability, and tend to be regarded in their own communities as the most disadvantaged. Those with disabilities are often forced into a life of dependency. Poverty, exclusion and dependency can create a vicious cycle. 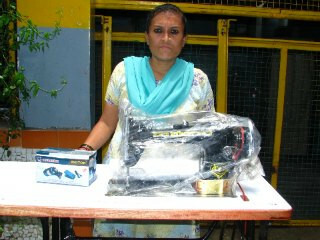 The Blind People’s Association runs a one year Cutting and Tailoring course for physically handicapped and deaf people. After completion of the course, graduates receive a formal certificate and all the materials they need (including a sewing machine) to start their own small business sewing and repairing clothes. With just $97, you can start a career! The Blind People’s Association provides hand carts that allow disabled people to start their own small businesses, on which they can sell vegetables, cooking items, clothes and toys. They can also use the cart to transport goods from one place to another. 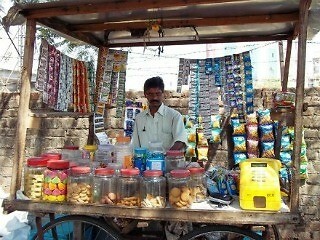 For just $54, you can provide a disabled person with a livelihood and greater independence! An A. R. Rehman of the Future! Bhimashankar wants to become a computer programmer! Now Ranjan is an earning member of the family! Karimabibi can return to her job! 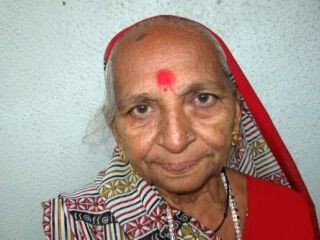 Sarojben recommends surgery to others like her..
Laxmiben's Home Sparkles After Operation!